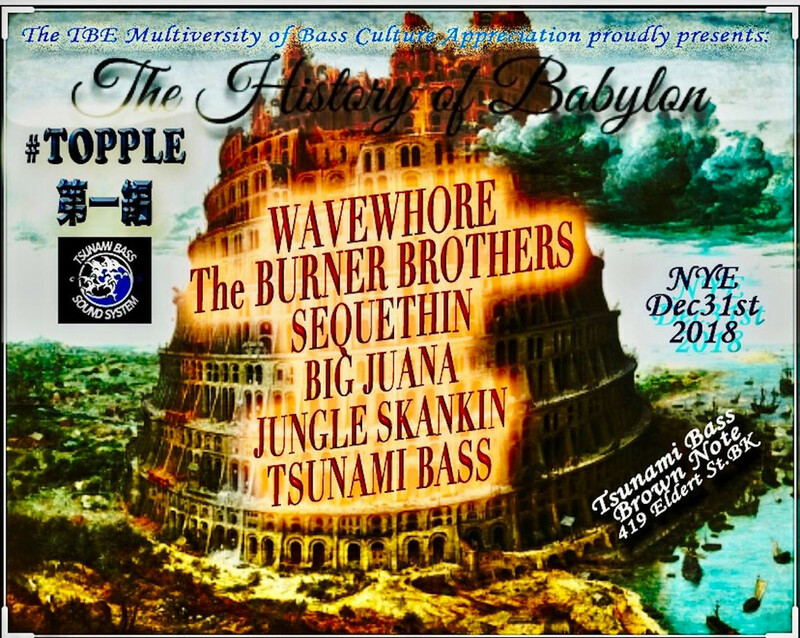 The Burner Brothers is a name synonymous with drum and bass culture in the United States of America. Now comprised of founding members DJ Seen and CT Burners, the New York City based duo have already accomplished a tremendous amount during their career. Since their debut on the legendary Rawkus/Rawkuts imprint in 1999, they went on to release records for Jungle Sky, Subsonik Sound, and their own imprint Patrol The Skies. Their repertoire also includes international releases on Technique Recordings (UK), Formation (UK), Flex (UK), Nemesis (UK), Magic Vinyl (DE), and Steppasoundz (DE). 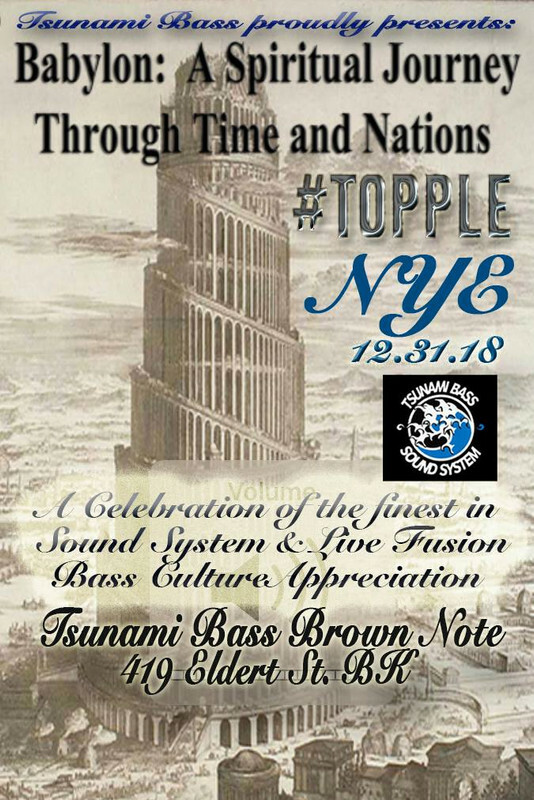 Tsunami Bass is one of New York City's premier sound systems specializing in low-end frequency and this event will be a refuge from the over-commercialized aspects of New Years Eve centered around bass music culture in a proper underground warehouse space. Enjoy the carefully curated sounds of some of New York City's finest DJ's on an optimally engineered sound system away from the fray of Babylon… full bar will be open for business and a champagne toast at midnight is included with entry!! Sounds to include breaks, drum'n'bass, jungle, deep dubstep, bassmusic and intersections thereof!